If you have a non-European business you do not necessarly need a VAT number, however you must provide the details of your address. NOTE: the view of the Zero VAT catalogue will available within 12 hours from the registration. *With the introduction of the single EU market on 1 January 1993, fiscal customs based controls at internal frontiers were abolished and a new VAT control system was put in place for intra-Community trade. The most significant benefit was the reduction of the administrative load on companies. 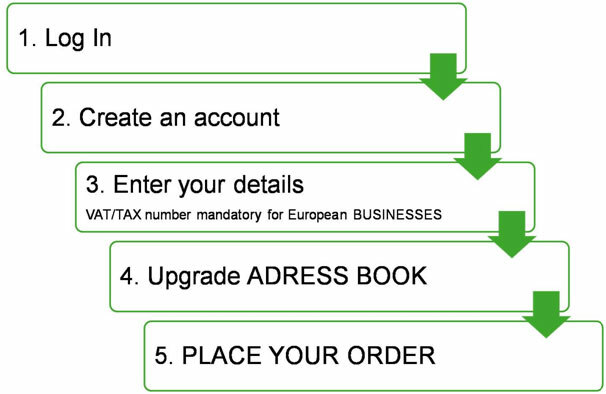 The VAT Information Exchange System (VIES) facilitate the trade of goods in the EU by EU member traders. As part of the Zero VAT program Etalian food offers discounted prices on every product. To have more information about our discount rates contact us at info@etalianfood.com. copy and paste this code at the checkout: SHIPDISCOUNT to receive the shipping discount (12 euros). Etalian food offers a large selection of high quality Italian Wine. In order to fulfil the selling regulations for alcoholic beverages, Etalian food manages the order and the delivery of wine separately from other food products. If you want to buy the wine proposed by Etalian Food, please contact us at info@etalianfood.com. If you are looking for a wine that is not in our catalogue, send a request, we will find it for you!